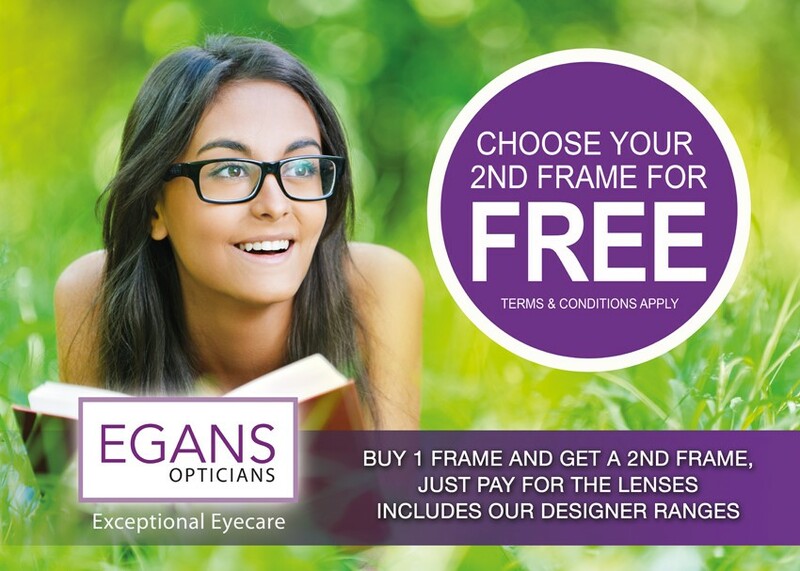 Buy 1 Frame and choose your 2nd Frame FREE. Just pay for the lenses. You can avail of our offer up to 8 Weeks after initial purchase of frames. Term & Conditions apply. · Avail of free 2nd pair up to 8 weeks after initial purchase. · Offer excludes Rimless as free pair. · Maximum value of free frame €200. Difference can be paid.